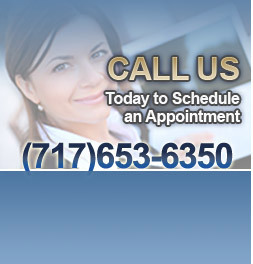 Dr. Sharon L. Grissinger has been in practice since 1990. 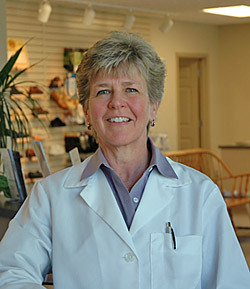 For more than 20 years, she has focused on preventive measures and therapeutic therapies for healthy feet. Having received her master's degree in Sports Medicine from Temple University in 1981, Dr. Grissinger went on to the Pennsylvania College of Podiatric Medicine, where she earned her DPM degree in 1988. She completed her surgical residency in foot and ankle surgery at West Jersey Hospital in Camden, NJ. While there, she served in the diabetic foot and ulcer clinic, with emphasis on salvage procedures of the diabetic foot. She is board certified in foot surgery. She demonstrated her expertise in gait analysis as an instructor in the Clinical Biomechanics Gait Lab at the Pennsylvania College of Podiatric Medicine from 1991 to 1995. Her accomplishments have been recognized with the Sports Medicine Award, the Dr. Lee Lindenberg Memorial Award for Outstanding Proficiency in Orthotics, and the Clinical Science Award for Outstanding Proficiency in the Clinical Sciences. Dr. Grissinger is a diplomate of the American Board of Podiatric Surgery and a fellow of the American College of Foot and Ankle Surgery. She is a member of the American Podiatric Medical Association, the Pennsylvania Podiatric Medical Association, the American Professional Wound Care Association, and the American Diabetes Association. 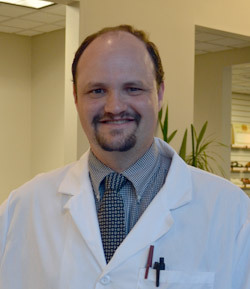 Dr. Fleischman received his Bachelor's and Master's degrees from the University of Scranton in physical therapy in 1999 and 2000 respectively. He started his physical therapy career at Thomas Jefferson University Hospital in Philadelphia where he was involved with spinal cord rehab, stroke rehab, and outpatient orthopedics. He then became center manager of an outpatient orthopedic physical therapy clinic from 2002-2004 which included treatment of athletes and sportsmedicine rehabilitation. He practiced as an active physical therapist for 4 years before attending Temple University School of Podiatric Medicine in 2004. While in podiatry school, he was treasurer of student government and of his class. He was a member of the Sterling Hartford Anatomical Honor Society, Pi Delta Honor Society, and was a Merit Scholar for four years. He received multiple awards including the Goldfarb Memorial Scholarship, Elmer Harford Memorial Scholarship, Clark Aff Scholarship, and Allen Forsythe Scholarship Award. His other activities included volunteer for the Marine Corps Marathon and guest lecturer for Physical Medicine and Rehab Courses. After graduating in 2008, He completed a four year surgical residency at Temple University where he had extensive training in foot and ankle reconstruction, foot and ankle trauma, arthroscopy, diabetic limb salvage, and pediatric surgery. Dr. Brittany Winfeld grew up in Bucks County, Pennsylvania. She moved to New York City to attend New York University where she earned her Bachelor's degree in 2006. She received her Doctor of Podiatric Medicine degree from New York College of Podiatric Medicine in 2010. While there, she was an active member of her class serving in Student Council and numerous other organizations. 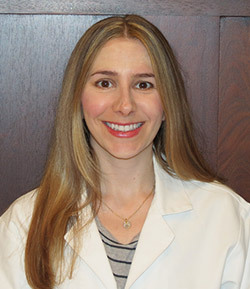 Dr. Winfeld began her podiatric surgical residency at Gouverneur and Bellevue Medical Center in New York City, where she was exposed to a variety of foot and ankle surgeries, traumas, and wound care. She continued her training at Wyckoff Heights Medical Center in Brooklyn, New York where she completed a third year of surgical residency training and a year-long wound care fellowship. During her wound care fellowship, she completed a published research study specializing in the areas of hyperbaric and topical oxygen therapy in the treatment of lower extremity wounds. Dr. Winfeld completed a second fellowship in clinical podiatric research at University of Pennsylvania where she worked on numerous research projects including a prospective study on plantar fasciitis injection therapy with the use of ultrasound. Dr. Winfeld is a member of the American Podiatric Medical Association and the Pennsylvania Podiatric Medical Association. She is board certified by the American Board of Podiatric Medicine and a certified specialist in wound care. © 2019, Mount Joy Foot & Ankle Associates. All Rights Reserved.